A contract is a legal and binding agreement between two or more parties to perform a specific work order, or a job for a period of time. As such, it is very important to determine everything about a contract before you sign it. Remember breaching a contract is a legal offence, which can bring serious legal consequences on you. While signing the contract with the custom home builder you have hired, it is good to have all the facts about the contract with you. Home building is an intense work order that requires a lot, especially in monetary terms. Therefore, it is obvious that you will need a home builder who can be able to deliver. However, a custom home builder will only deliver what they signed for and so it is up to you to find out all the details of the contract before signing it. This will legally protect the expectations you have about your house. Have you found a home builder? The first and very crucial step in signing your custom home building contract is determining the worth of the home builder. 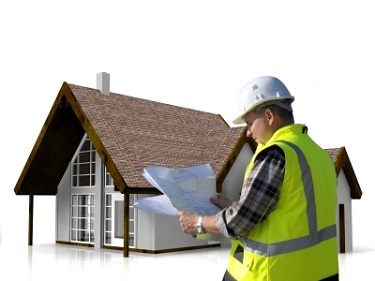 Conduct a thorough investigation about your home builder. Determine if they are licensed and insured. Also, they should be well experienced. Here you can verify by asking for other homes they have built before, their references and reputation. If they are expert custom home builders, they should be at least well known in your local area. Note that experienced and reputable home builders build high quality houses and focus and strategies with the least risk involved. What is entailed in a home building contract? After a thorough investigation of your home builder, the second step is to determine the details in the contract. Remember a contract is legally binding and hence no turning back after you sign it. This should alert you to be cautious while finding out the contract terms and conditions. •	Payment methods: The contract should list the fixed amount the client owes, when it will be due for payment and how the payment should be made. •	The schedule: There should be a clear time frame that explains how the project progresses till completion. •	The scope of work: This should state the labor, materials, and other costs and requirements needed for building your custom home. •	Exceptional terms and conditions: The clauses accounting for potential changes in case of unexpected events made by the client. In case you choose a fixed price contract, you are likely to enjoy some benefits. The fixed price contract usually determines the cost of the whole project before the signing of the contract. This means that there are no additional costs to expect after you sign the contract. As a result, you can be able to plan for your finances without the worry of underestimations or unexpected costs. In short, a fixed price contract allows you to be financially stable during the building process. Understanding your custom home building contract can be of great help to you. Since a contract is legally binding, do not take risks by making assumptions. Always make sure that your custom home builders are trustworthy and capable. This will protect you from regrets when the home builders you have hired are not meeting your expectations.